In addition to sponsoring a student or making a donation there are other ways to help PROGRESA. Some friends have been willing to do more to spread the word about our scholarship program to other friends. We are always looking for people who would be willing to hold a breakfast, a dinner, or another event to benefit the Scholarship Program. A simple way to raise money is to ask your friends to donate to the scholarship program in lieu of giving a gift for your next birthday or holiday party. The possibilities are limited only by your time and your imagination. 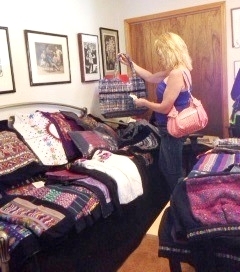 Some donors have opened their homes to hold sales of Guatemalan tipica goods. 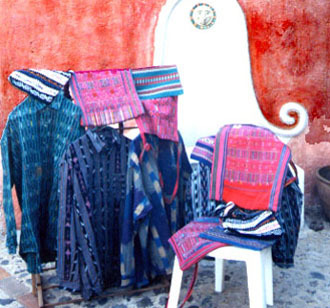 You can also help by inviting friends to join you for the Teaching English Week in Antigua, or organizing a group who would like to take a specially tailored Cultural Tour of the Guatemala Highlands. One of the easiest ways to help is by forwarding our Updates/Newsletters to friends on your e-mail list with a short message from you telling them about The Guatemala Friends Scholarship Program. Click on the images below to open the newsletter.